Fresh raspberries combine with the sweet, tangy flavor of the lemon cream pie quest bar to make this the perfect, refreshing treat after a great workout! 1) Cut your quest bar into 3 even pieces and mold into 3 circles. I used a small circle shaped cookie cutter to make them perfectly round. 2) bake at 350 F for about 8 minutes. set aside to cool. 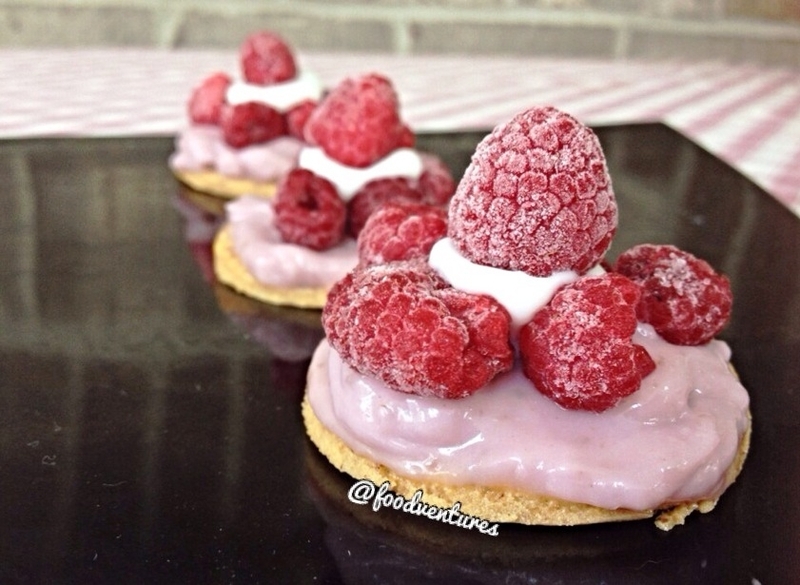 3) combine your 1/3 cup yogurt with your raspberries then spoon on top of your "tartlets". layer your raspberries on top of this then top off with a dollop of your vanilla coconut yogurt and a raspberry.